UN plan for ‘alien ambassador’ a case of science fiction? The predecessor Article to the following one was deliberately posted by the Author/Admin to help viewers discern between the obvious and the false. Please understand more of this type of nonsensical whims will make the rounds on the Internet,so do not jump up in haste every time. 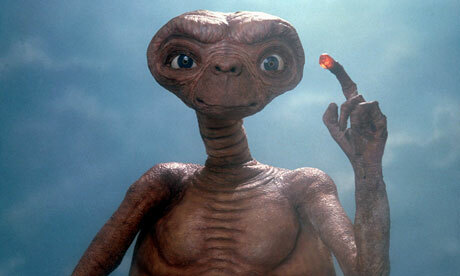 I assure you that Direct Contact will be made with our E.T brethren on a one to one basis globally. This article is the subject of a legal complaint made by Jonathan Leake, science editor of The Sunday Times. If a Martian, proverbial or otherwise, had landed on Earth in the last 24 hours the media had some practical advice. Or so it seemed. According to the Sunday Times and numerous other media outlets that followed up the story, the United Nations was “poised” to appoint an individual to be the first point of contact with aliens. Malaysian astrophysicist Mazlan Othman was being lined up for the role, the story said. As head of the UN’s Office for Outer Space Affairs (Unoosa) Othman would be the “nearest thing we have to a take me to you leader [person]”, Prof Richard Crowther, from the UK Space Agency, told the Sunday Times. According to the paper, Othman is due to tell a Royal Society conference that as the detection of extraterrestrial life is more likely than ever, the UN needs to be ready to co-ordinate humanity’s response. Reading all this our Martian visitor might have been encouraged to try to get in touch. They would have had a frustrating time. The Royal Society knew nothing about it. 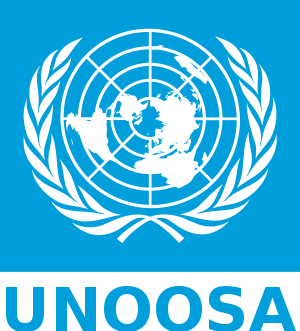 The United Nations referred all queries to the switchboard of Unoosa in Vienna. Its switchboard number wasn’t much help. “The person at extension 4951 is unavailable, please leave your message after the tone,” it said. Those messages might make for some interesting listening today. Our alien will just have to try someone else, or stop reading the Sunday Times. 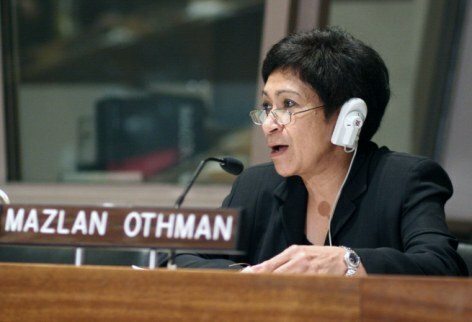 Posted in Conspiracy Archives | Tagged: disinformation, earth, Extraterrestrial life, Mass media, Mazlan Othman, Outer space, rumours, United Nations | Comments Off on UN plan for ‘alien ambassador’ a case of science fiction? However, he thinks humanity’s first encounter with any intelligent aliens is more likely to be via radio or light signals from a distant planet than by beings arriving on Earth. And, he suggests, even if we do encounter aliens in the flesh, they are more likely to be microbes than anything intelligent. Scientists have used a Nasa supercomputer to work out what our solar system would look like to alien astronomers searching for other planets. New simulations have tracked the interactions of thousands of dust grains to how this view might have changed as our planetary system matured. And astronomers hope that the new view could help them learn how to spot planets orbiting distant stars. 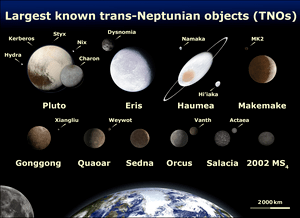 The dust originates in the Kuiper Belt, a cold-storage zone beyond Neptune where millions of icy bodies – including Pluto – orbit the Sun. Kuiper Belt objects occasionally crash into each other, and this relentless bump-and-grind produces a flurry of icy grains. But tracking how this dust travels through the solar system is not easy because small particles are subject to a variety of forces in addition to the gravitational pull of the sun and planets. The grains are affected by the solar wind, which works to bring dust closer to the sun, and sunlight, which can either pull dust inward or push it outward. Exactly what happens depends on the size of the grain. ‘Our new simulations also allow us to see how dust from the Kuiper Belt might have looked when the solar system was much younger,’ said Christopher Stark, Carnegie Institution for Science in Washington, D.C.
‘The planets may be too dim to detect directly, but aliens studying the solar system could easily determine the presence of Neptune — its gravity carves a little gap in the dust,’ said Marc Kuchner, an astrophysicist at NASA’s Goddard Space Flight Centre, who led the study. The particles also run into each other, and these collisions can destroy the fragile grains. A paper on the new models, which are the first to include collisions among grains, appeared in the Sept. 7 edition of The Astronomical Journal. With the help of NASA’s Discover supercomputer, the researchers kept tabs on 75,000 dust particles as they interacted with the outer planets, sunlight, the solar wind — and each other. The size of the model dust ranged from about the width of a needle’s eye to more than a thousand times smaller, similar in size to the particles in smoke. During the simulation, the grains were placed into one of three types of orbits found in today’s Kuiper Belt at a rate based on current ideas of how quickly dust is produced. 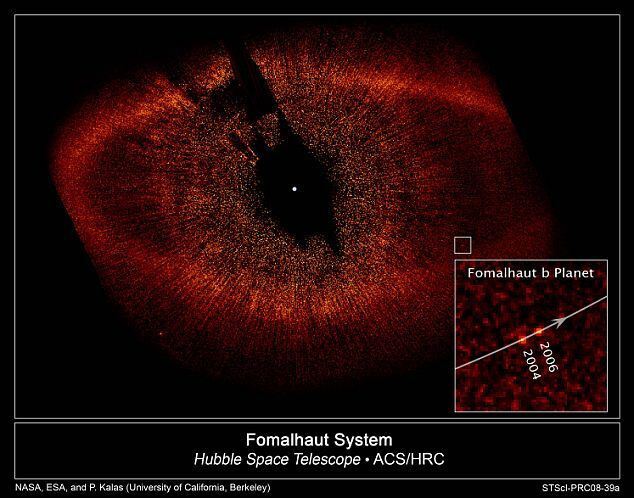 From the resulting data, the researchers created synthetic images representing infrared views of the solar system seen from afar. ‘One thing we’ve learned is that, even in the present-day solar system, collisions play an important role in the Kuiper Belt’s structure,’ Stark said. That’s because collisions tend to destroy large particles before they can drift too far from where they’re made. This results in a relatively dense dust ring that straddles Neptune’s orbit. It may sound like a Spielberg movie plot, but if senior U.S. airmen are to be believed, this scenario is not science fiction. They claim that since 1948, aliens have been hovering over UK and U.S. nuclear missile sites and deactivating the weapons– once even landing in a British base. Furthermore, they warn, our governments are hushing the activity up. 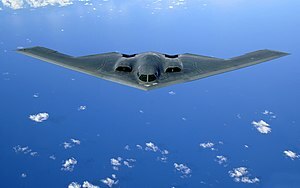 ‘The U.S. Air Force is lying about the national security implications of unidentified aerial objects at nuclear bases and we can prove it,’ he said. The former officer said he witnessed such an event first-hand on March 16, 1967, at Malmstrom Air Force Base in Montana. 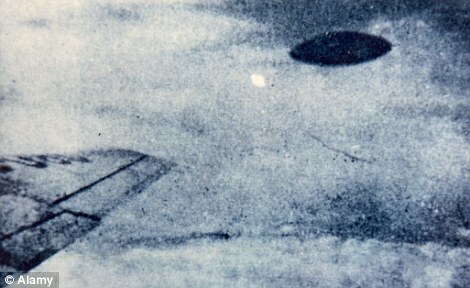 Colonel Charles Halt claims to have seen a UFO at RAF Bentwaters, near Ipswich, one of the few bases in the UK to hold nuclear weapons. The sighting is said to have taken place 30 years ago. First he saw the object firing beams of light into the base then heard on the military radio that aliens had landed inside the nuclear storage area, he said. 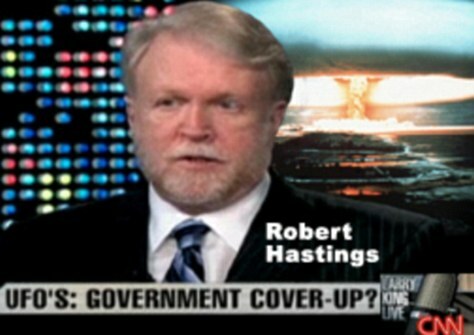 The six former U.S. Air Force officers and one former enlisted man, are to present declassified information which they claim backs up their findings. 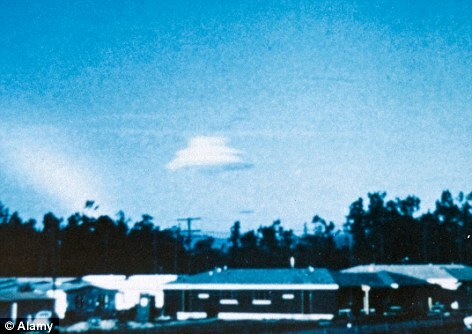 They have witness testimony from 120 former or retired military personnel which points to alien intervention at nuclear sites in the U.S. as recently as 2003. They will urge the authorities to confirm that alien beings have long been visiting Earth. ‘At long last, all of these witnesses are coming forward to say that, as unbelievable as it may seem to some, UFOs have long monitored and sometimes tampered with our nukes,’ he added. Change is an inseparable part of life, the very fabric of Existence. We experience changes in every detail of our lives. While we label some as good and some as unpleasant, every change at every level is a part of our evolution, a part of our growth. These changes can be seen at the level of the individual, the society, humanity at large and even at the level of the Planet. 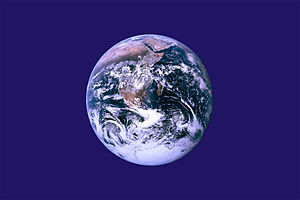 Our Earth, along with all life on it, is presently going through many transformations. All these can be collectively called as the Earth changes. These changes happen all the time but at certain periods, when the shift occurs from one Yuga to another, the changes will be maximum and sweeping. In a relatively short period, major transformations happen on our Earth where, the values and way of living of one Era are replaced with those of another Era. a) The changes and alignments at the Cosmic level. d) The changes at the level of the Individual. In this article, we try to understand the Major events and alignments occurring at the cosmic level and their impact on our Earth. We’re aware that the dark age has just ended on our Earth and we’re in a transitory period before entering the New age of Light. In this transition, the ways and values of the old age will be replaced with those of the New age, and the old energies will give way to the New energies. Such processes happen in every cycle of Yugas on this Earth. However, the transition we’re going through in this cycle is special for many reasons. In the very near future, many major events are scheduled to occur almost simultaneously in our Galaxy. The impact of these will be huge for many reasons. Also, the Rishis have recently discovered many Manifested and Unmanifested Universes in God’s creation and have gained access to the immense Energies from those Universes. The simultaneous occurrence of these events and the access to the New Energies have given the Rishis an opportunity to reduce the duration of the transitory period, and speed up our progress into the New Age of Light. And this has also allowed them to start an entirely new experiment on our Earth, which will later be implemented in all other Earths in our Material cosmos! Let us understand these cosmic events in brief. Our Earth along with other planets revolves around the Sun. The Sun, along with 6 other stars, inturn revolves around a bigger star, Alcyone, also known as the Central Sun. Alycone revolves around a much bigger star, Sirius, which is called as the Greater Central Sun. This system of stars revolving around one another, is a feature found in all galaxies in our Universe where ultimately, each galaxy consisting of stars and planets, revolves around its own centre. The Milky way galaxy, to which our Earth belongs, has billions of such stars and planets, all revolving around a massive star in its core, called as the Galactic centre. As the Sun and other stars revolve around one another and move in their orbits, they come in various alignments with each other. On 21st December 2012, two alignments are expected to occur in our Milky Way Galaxy. One, our Sun and the entire solar system will come in direct alignment with the Galactic equator. And two, the Galactic Centre, the Greater Central Sun and the Central Sun will form an equilateral triangle in space at the same time. Our Earth receives energies, both physical and subtle from the Sun as well as other stars. To receive the maximum amount of Energies, it has to come in a proper alignment with these celestial bodies. For example, during an eclipse, where the Earth, Sun and Moon align with each other, very rare spiritual energies flood our Earth because of this alignment. Hence the duration of eclipses were considered sacred and were spent in meditations and other spiritual activities, to make the best use of these subtle energies. An alignment occurring at the level of the Galactic centre will have an effect which is many, many times higher in magnitude. When our Earth, along with the solar system aligns with the Galactic equator, it will come in direct focus of a huge amount of subtle energies, which emerge from the Galactic Centre. And the triangular formation of Alcyone, Sirius and the Galactic centre in 2012 brings a massive amount of spiritual energies from these Stars to our Earth. This rare celestial occurrence has also initiated many other events, which will be explained later. When the Sun moves around the Central Sun, it passes through various energy fields in space. One such energy field is the Photon belt, which is a spiritual field, which came out of the Greater central Sun, Sirius. The Photon belt is a field of very high vibratory frequency, which enhances the spiritual condition of our Earth when we enter it. If we’re spiritual evolved at that time, our evolution will be magnified by many folds. And if our spiritual growth is negative, we go into a very fast downward spiral, as it happened during our last entry, nearly 10,000 years ago, when the great civilization of Atlantis was destroyed. Our Solar system has begun its entry into this field. Our earth is under the direct influence of the Photon Belt from Dec 21st, 2009 and the effects will increase in seven stages. We are now in the third stage of this influence. This entry of our Earth into the Photon Belt, which coincides with the Galactic alignment happening on the same day, will have a massive spiritual effect on Humanity. Our Sun takes nearly 26,000 years to complete its orbit around Alcyone. This completion of cycle coincides with the year 2012! 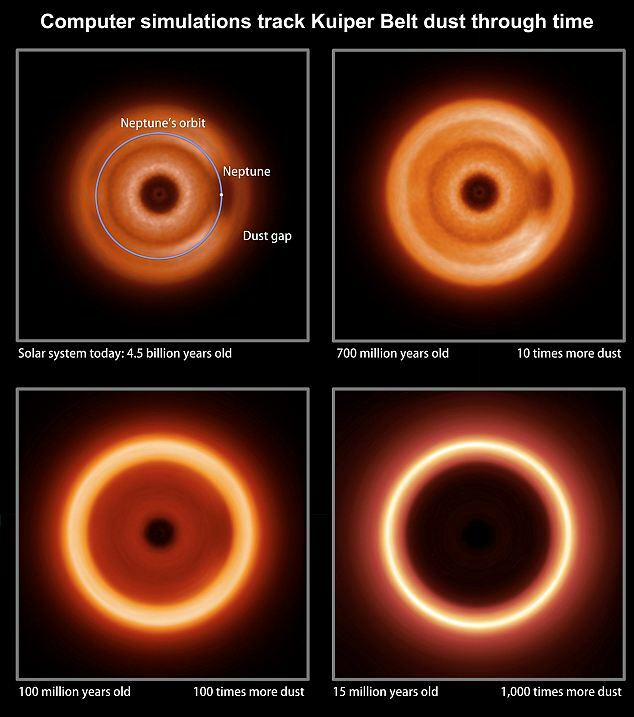 And the Central Sun, Alycone which takes millions of years to revolve around Sirius, also completes its orbit in the same year. At the physical level, this brings about huge changes like the interchanging of the magnetic poles of the Sun, which in turn will trigger similar changes on our Earth. Such a massive change will have a huge bearing on humanity and all life that our Earth houses. Our Sun has a twin, another star, which is called as the Second Sun. 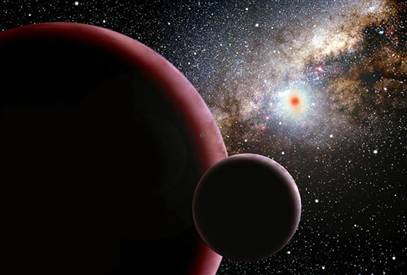 This is also referred to many as Nibiru and Planet X. This star exists at a subtle level and although it usually isn’t visible to the naked eye, it sometimes becomes visible to those who are spiritually evolved and has been photographed. Since the Second Sun exists at a higher level, it supports life of a higher order, that is, the life in the New Age. As we go into the New age, we’ll use more of the energies from the Second Sun. These Energies are expected to become more prominent post 2012, because of our entry into the Photon belt and the Galactic alignment. They help us in our spiritual evolution and in opening up to newer realities. The 5000 year long dark age ended on this Earth on 14th April, 1974. Before the New Age of Light begins, a transitory period of 432 years is usually provided, for humanity to make a gradual shift from the beliefs and values of the old age and rise to the higher values of the New age. This is also the period when the Rishis invoke many processes at different levels to help us make this shift. One of them is the intense churning process called as Pralaya, which was to lasts for 49 years. The Pralaya began in 1987 and was supposed to continue up to 2036. The unprecedented events which are scheduled to occur at the cosmic level in and around 2012 have given us a rare opportunity to speed up this process and make a swift entry into the Light Age! The gradual transition which we were supposed to make in 432 years can be hastened up and reduced by many folds, because of the intensity these cosmic events create in our lives at all levels. The Galactic alignment between the Galactic Centre, Sirius and Alcyone begins in 2012 and will continue upto 2032. Like the duration of an eclipse, the spiritual effect of this alignment will be present for these twenty years. Among other things, the Rishis have made use of this opportunity to drastically reduce the 432 years of transition and the 49 years of Pralaya, to ease our suffering and take us quickly into the Light age. As a result of this, the Pralaya process will end by 2015 and we’ll enter Satya Yuga in 2018! By the time this alignment ends in 2032, the New Age of Light will be firmly established on this Earth. b. Removal of Evil from this Earth—a New Light Age. Our Earth is a planet where there are equal opportunities for the forces of Light and Darkness to manifest and take effect. These are evident in the 4 yugas, in which Light reigns supreme in one, darkness in another and a shade of these two manifest in the other two yugas. However the reign of darkness has increased over the course of many Mahayugas, resulting in an imbalance in creation and more burden on the Rishis who take care of God’s creation. The Galactic alignment and many other events occurring this time has enabled the Rishis to initiate a very great project, which will not only set right this imbalance but also remove Evil completely from this Earth. This project has been named as ‘Pavitrena Karyam’. The aim of this project is to ensure that darkness and evil are not only made dormant but also removed completely from this Earth. This also means that the other three yugas will no longer be present on this Earth henceforth and there will be Light Age all the time. More details about the New Light age have been explained in the article, The Light Age. The Galactic alignment and the huge surge of Spiritual energies it brings about have enabled the Rishis to initiate this experimentation on this Earth, from this Light Age onwards. Also, this is the first time that the Rishis could visit all the Manifested and Unmanifested Universes and also enter the realm of the Primordial God, Mula Brahman. The access to the energies and knowledge from all these Universes is another major reason for the initiation of this experimentation on this Earth. The Galactic alignment of 2012 has enabled energies of very high frequencies to be released from the three sources which are coming together in alignment. It is also helping newer energies to come into our Galaxy. All these Energies are already reaching our Earth and this will increase as we move towards 2012. Normally the Energies are released in the form of rays or spirals. Now the new energies in shape of ‘X’ and ‘Z’ are getting released. These new energies are being released from eclipse which occurred between 31st December and 1st Janurary of this year. The alignment has eased the process of anchoring these higher energies on our Earth. These new energies are first absorbed by the Photon belt and then released to our Earth. The first impact is the increase in the vibrational frequency of our Earth, resulting in a lot of positive churning to take place at all levels. This churning helps every human being on Earth to deal with his own negativity and get over them, in order to move into the New Light Age. This alignment has also brought in new knowledge and is helping all humanity to become aware of newer possibilities of life and creation. It has enabled a major push and growth in the whole galaxy. The new experimentation, ‘Pavitrena Karyam’ has become possible because of this growth. The Galactic alignment is slowly increasing the pace of rotation of the entire Milky way galaxy and will help it shift higher to many levels of consciousness. This alignment is so powerful that it can shift the entire Material Cosmos to the next level of consciousness. But since this is not the right time for such a shift, the Rishis headed by Vasishtha Maharshi are monitoring the entire process with great vigilance to keep such huge effects in check. The Rishis are playing a major role in minimising the harmful effects of the alignment and other events, and in enhancing and deriving the maximum benefits from them. Their main work is the co-ordination and guiding of the entire process, to benefit life forms not only on our Earth, but in all other Earths in our Galaxy, which will be affected by the galactic alignment. Our Earth will be affected by many external bodies like the Sun, the Second Sun and the Photon belt apart from the three Stars which are a part of the alignment. The Rishis are strengthening and tuning up these bodies with more of blue energies. The blue energies are stronger, purer and help us cleanse and purify faster. They act very strongly against the dark energies on our Earth. The new experiment of removing evil from our Earth was initiated at the highest level by Vishwamitra Maharshi. It is also simultaneously implemented in a few more Earths in our Galaxy. If this experiment is successful, then it will be spread over to all the Earths in the Milky way Galaxy and then to the entire Material Cosmos. These processes are being monitored and guided at the level of our Galaxy by Vasistha Maharshi. On our Earth, the processes of these changes are monitored by three personalities — Lord Mahavatara, Lord Parashurama and Maharshi Amara. Lord Parashurama, who’s an earlier incarnation of Mahavishnu and is an immortal, is an expert at drawing special energies and storing them. Presently he’s involved in extracting some rare, important energies from Sirius, Second Sun and the Manifested Universes and anchoring them on our Earth. He also manifests new chemicals of a spiritual nature from these energies and stores them. These energies and chemicals are released to the entire Earth on special occasions like world peace day, world healing day etc. Many angels are involved in this process of spreading these energies to various places and people. They also pass on these energies to Mother Earth with minimum pain and discomfort to Her. During the release of these energies, Lord Mahavatara, Maharshi Amara, and their assistants keep a close watch on the entire process. The processes of Earth changes have already started to bear fruit, although many of the major events are yet to take place. The first visible change is the awakening of people toward Light and in resisting darkness. Even though we still witness acts of terrorism, violence and many calamities, the positive forces are also slowly uniting. There’s more Oneness now, with people having an increased tendency to help others. Whenever new energies and chemicals are injected into our Earth, the dark forces are rendered a little powerless. This weakening of the dark forces also happens everytime people reject violence and hatred at the thought level. Although these major events were scheduled to occur in the year 2012 and they were supposed to herald the Light Age, the dark forces on our Earth are very united and are posing a strong resistance. Hence the effects of these events have been postponed, as of now, to the year 2015–which is the year when the Light Age begins to dawn before starting fully in 2018! The Galactic centre is dormant at present with respect to our Earth. The Rishis are waiting for a few more processes to culminate on our Earth, after which, the Galactic Centre will be activated. This is expected to occur in the next month. When this happens, the effects of the new energies and the work that’s done towards the shift becomes more evident. This will help humanity make the right choices and reject darkness at all levels. 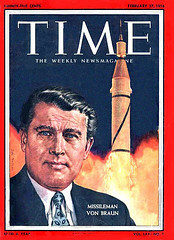 According to Dr. Rosin, (http://www.youtube.com/watch?v=CaTgOSHbBEI) von Braun then gave her one supreme assignment to thwart this plan: to stop the weaponization of space. Failure to do so would lead to calamity for the human race as a secretive trans-national powe r, already in existence, would move to permanently take control of this planet thru a hoaxed alien invasion from outer space. More importantly, von Braun told Dr. Rosin in 1974 that we already had the technology to build anti gravity vehicles and entire transportation systems which did not require so-called ‘fossil’ fuels but instead used “beams” of energy, thereby eliminating all pollution from these sources permanently. Perhaps Dr. von Braun had seen anti gravity vehicles with his own eyes in Germany before the end of the war, as wel l as their continued development at other secret technology sites afterwards. 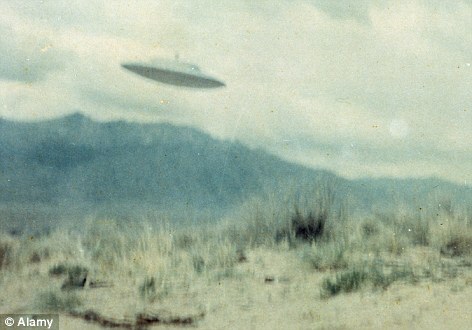 According to Dr. Steven Greer, the head of the “Disclosure Project,” “….the prospect that a shadowy, para-governmental and transnational entity exists that has kept UFO’s secret — and is planning a deception that will dwarf the events of 9/11…” is a scenario that more people within the depths of our government have begun to reveal. Conspiracy theories do not allow for accident, incompetence, or coincidence. The official version of events “almost always, at its heart” has anomalies that cannot be reconciled. Scholars, usually with exaggerated credentials, are named as proponents of the theory. 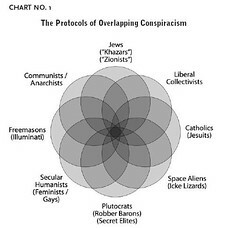 On why there needs to be skepticism about conspiracy theories, Aaronovitch used the example of recent developments in the UK which arose as a result of rumors that vaccines cause autism. He explained that this theory became so pervasive that people began to stop having their children vaccinated. In turn, Aaronovitch lamented, the measles virus re-emerged back into the population after it had been eradicated in previous years. “This stuff has to be combated because it does have consequences for people,” he declared. On a far larger scale, he noted that the widespread belief in the fraudulent Protocols of the Elders of Zion in Nazi Germany acted as a proverbial “warrant for genocide” for many misguided players in WWII. NEW DELHI: An earthquake hit Afghanistan, Pakistan and north India around midnight on Friday but there were no immediate reports of damage or casualties. The quake measured 6.3 on the Richter scale, Times Now reported. 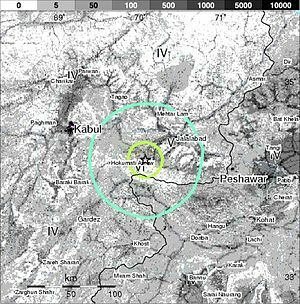 Hindukush in Afghanistan is said to be the epicentre of the quake. The tremor occurred at 12:55am. Tremors were felt in Kashmir Valley and Delhi too. New Delhi, Sep 18: An earthquake hit Afghanistan, Pakistan and north India around midnight on Friday, Sep 17, but there were no immediate reports of damage or casualty. The moderate-intensity quake measuring 6.5 on the Richter scale hit the Hindu Kush region and Jammu Kashmir, the IMD’s Seismology Department said. The department also said mild tremors were also felt in some parts of New Delhi. However there were no reports of any damage. NEW ORLEANS – After five months, the oil well that had spewed millions of gallons into the Gulf of Mexico is on the verge of being plugged once and for all. A relief well drilled nearly 2.5 miles beneath the floor of the Gulf of Mexico intersected BP’s blown-out well, a prelude to permanently killing it, the U.S government said late Thursday. Retired Coast Guard Adm. Thad Allen, the government’s point man on the oil spill, said in a statement that data shows the two wells are joined. The next step will be to pump mud and cement down through the relief well to seal the ruptured well from the bottom. According to the government, the final seal should happen by Sunday, five agonizing months after an explosion killed 11 workers, sank a drilling rig and led to the worst offshore oil spill in U.S. history. But BP said Friday in a statement that it expected the well to be completely sealed Saturday. “I am ready for that cigar now,” John Wright, who led the team drilling the relief well, said in an e-mail Friday to The Associated Press from aboard the Development Driller III vessel. Wright, who is not a BP employee but is working on a contract basis, had told the AP in August that he was looking forward to finishing his mission and celebrating with a cigar, a dinner party with his crew and a trip somewhere quiet to unwind with his wife. The gusher was contained in mid-July after a temporary cap was successfully fitted atop the well. Mud and cement were later pushed down through the top of the well, allowing the cap to be removed. But the blown-out well cannot be declared dead until it is sealed from the bottom. The April 20 blast sank the Deepwater Horizon rig and triggered the spill that eventually spewed 206 million gallons of oil from the well. BP PLC is a majority owner of the well and was leasing the rig from owner Transocean Ltd. The disaster caused an environmental and economic nightmare for people who live, work and play along hundreds of miles of Gulf shoreline from Florida to Texas. It also spurred civil and criminal investigations, cost gaffe-prone BP chief Tony Hayward his job and brought increased governmental scrutiny of the oil and gas industry, including a costly moratorium on deepwater offshore drilling that is still in place. Gulf residents will be feeling the pain for years to come. There is still plenty of oil in the water, and some continues to wash up on shore. Many people are still struggling to make ends meet with some waters still closed to fishing. Shrimpers who are allowed to fish are finding it difficult to sell their catch because of the perception — largely from people outside the region — that the seafood is not safe to eat. Tourism along the Gulf has taken a hit. BP took some of the blame for the Gulf oil disaster in an internal report issued earlier this month, acknowledging among other things that it misinterpreted a key pressure test of the well. But in a possible preview of its legal strategy, it also pointed the finger at its partners on the doomed rig. Meanwhile, Wright, the driller, has never missed his target over the years, successfully drilling 40 previous relief wells that were used to plug leaks around the world. He has now made it 41-for-41. Since breaking into a major timeline (a.k.a.dimensional) intersection of the next evolutionary cycle on July 17th, we are continuing to undergo a major “life-style” restructuring as well as enduring profoundly deep cellular transmutation. As we recently “broke onto the other side” the shockwaves generated from the sheer impact have been reverberating through our very core. (and our brains and third eye!) The Guardian’s mention this “breaking through the timeline” was akin to the esoteric or biblical reference of the “Opening of a Seal”. If you re-read the annual theme news from January, “The Year of the Indigo” it will give you a clue as to what “seal” they are referring to. The many earthquakes on our planetary body (the macrocosm) this year have been shaking us to get ready to open our own personal body “seal”. (the microcosm). Additionally this “opening seal” and the “mark it left as an imprint on our forehead” created some scarily intense physical symptoms around our skull, brains, nerves and eyes. The recent transmission downloads, and their lucid dream states have contained many variations of geometries, hieroglyphs, hebrew letters, animals as well as flying colors and hearing inner ear ringing tones. Our pineal gland is changing. Our brain is changing. It’s no wonder we have been mostly sequestered and isolated the past few months as this has not been the altered state where one can comfortably “tool around town”. Even though we are left feeling a total void and complete utter “silence” from the multiple explosions of these impacts, we are now beginning to find the “softer ground”. Those shockwaves (the opening of a seal) have been clearing out our spiritual house to remove the repetitive debris of the old systems of mind control behaviors, many of which were embedded or wired in our brains. (i.e. fears, addiction or co-dependent patterns.) Many of us are finally feeling freer from those controls. Some of us are still undergoing the transmutation effects of these new Indigo “Blue Ray” brain activations while others will catch it in the next cycle. After these shockwaves electrified our brains and then bulldozed everything out of our peripheral view – the softer ground finally showed up to bring shape to our new life foundation. We have no certain idea of what’s next – but we can feel the new life foundation is being built! In order to be free we have to “know” that we do indeed have EVERYTHING we will ever need inside of us. And that “everything” is found within the inner space of “utter silence”. The recent surprising shake ups are verifying that core truth to us over and over again. Every time we try to join back into the external chaos, the “Yod of God” (God’s Finger) pushes us back into the utter silence – once again! We are growing much stronger where no hidden darkness or shadow can obscure our vision of really “knowing” the Power of the Eternal Light. As we know it, we become it. And then life as we know it changes forever. The Lamb is represented as the First Power of God’s Light as the human embodiment of the Christ Consciousness. The Christ Consciousness is the same field of energetic intelligence that is referred to as the 12 D field and its “Avatar Matrix”. Also, please note the term “wrath” is not to be misconstrued as judgment, punishment, vengeance or any type of violence or instigated fear upon another. The Christ Consciousness is akin to the gentleness of a Lamb, yet its power becomes evident and then is feared by those who have controlled through “might”. This is the sign of the end times, the changing and evolving consciousness, as we enter the “final conflict” stages during the planetary Ascension Cycle. We are entering the stage of “the Wrath of the Lamb” which signals the beginning of the “changing of the guard” on this planet. We now understand why we must enter the Dark to Truly Know the Eternal Light of God, and we are able to embrace this new vision. Through understanding this “Universal Law of the Polar Opposites” and by continually facing the darkness with non judgment, we then are able to come into the wisdom of embodying this higher knowledge as a “Universal Christ Consciousness”. Through the process of experiencing extreme polarity (by synthesizing the extremes of energetic opposites) your physical body becomes the alchemized vehicle which holds God’s Inner Eternal Light of Truth. As we allow that Truth to Shine forth from our hearts, it illumines the pathway to Unity – the Universal Christ Consciousness and destiny of Humanity. As we ignite the purity Flame in our own Heart we become the Sacred Fire of All Hearts. As a Flame can be blown out, this Sacred Fire cannot. This month is about finally getting our landing pad, and gaining the ground (feeling more supported, firmly grounded yet more spiritually embodied) we need to operate from our inner core with deeper clarity. That deeper clarity is a pre-requisite for being and living in your “divine purpose”. There is no room for anything else inside of you any longer. Those of us riding this “New Unity Wave” and its new source coding have been re-aligning ourselves and in many cases are being relocated into new spaces that offer a “steadying” foundation of which to function. At times it has been bewildering and disorienting as it seems the landscape around us is being drastically rearranged with (and without) our personal conscious participation. I have likened these times to be similar as being an actor on a location movie set, and the director has just changed the set around getting ready to film the next action scene. The film and lighting crew (our Guardians and Guidance teams) are scurrying all over the place getting ready for the “big screen moment” to unveil. The Universal energies are connecting to us like our very Divine Director and giving us new landscapes and props to work with in creating our new movie. This time we seem to be getting much more “special effects” star dust and that includes mystery manifestations and last minute surprises. As we stay inside of ourselves, it all feels really good. Many of us were more than ready (with consciousness battle fatigue) to “receive” more beneficial relationships and supportive environments so it has been a major blessing from the Universe. These new supportive foundations in some cases are physically represented,(moving our primary residences or working areas) or energetically represented ( sudden changes in our relationship to things: i.e. organizations, promotions, new responsibilities, new influences and opportunities around us) or based in resolution of the past circumstances through the forgiveness frequency. (family reconnection or relationship healings from your past memories) Most of the shifts have felt really supportive unless they have involved the loss or exiting of loved ones. The Special Op Starseed’s ( or Blue Rays) have another job entirely on group consciousness field repair and that in itself is another set of physics placing demands on the genetic codes held in the bodies. This is not the group I am referring to here. Please note that this exiting point is a choice and if you participate with your bodies healing and do the ‘work” required – your body can and will be fully rehabilitated. Do not feel fear over this issue, as its not ascension symptoms that drop the physical body, it is the ignorance of not knowing or asking to feel guidance or connect to the spiritual bodies. You must participate with your soul or ascension process if you are greatly physically “sick” and you do not want the “exit point” to occur. The Guardian perspective is once you comprehend your soul plan choices, you do not need to execute any pre-written “exit point” in your 3D incarnational plan. You have the choice ALWAYS to change that as you become conscious enough to participate with your personal evolution. You will not get out of the energy balance requirement needed for the original reason of that set up of an exit point in your life plan, however, you can always override an exit point. The original Crystal Blueprint for the Multidimensional God Human never needed to suddenly drop the body, instead conscious exiting or Stargate transmutation was the free option. Trauma and disease pattern used to drop the body was a causation of forgetting our true spiritual connection to the Universe. Remember and LIVE your God connection as your primary reality and the trauma and disease will drop away instead of the body. Some of us are the mid wives of the spirit and have been busy working with not only the group astral body soul retrieval but that which is required of this physical dimension. Preparing for other’s bodily transition or drop is not an easy job, yet it is most noble and necessary. This means we have a greater need for “portal jumper’s” that can straddle multiple dimensions of consciousness to keep portals open for others. As we have entered a Universal Intersection Cycle, this allows many beings to leave their physical body at an auspicious point in the timeline which allows for a greater spiritual body connection or a full rehabilitation into the next available “gateway”. Some of them are the preparation crew to re-educate (or heal) the next waves moving through the multiple gateways over the next years of the Ascension Cycle. Some of them are taking the ancestral miasma and genetic defect implication out of the family lineages so they are freed from the future effects of the generations yet to be born. The Guardians have been showing me over the last weeks (in the middle of the night at 3 am) the imprint of the schematic of the Divine Mind of God upon the third eye in the center of our brain. What this means is that the actual Living Divine Plan of God is projected as a geometric schematic of the “Divine Will” blueprint as through Its “All Seeing Eye”. All intermediary lenses of “mind control” (Eye of Yahweh, Eye of Jehovah, Eye of Horus and other religious control mechanisms requiring salvation or redemption) must be broken away in order to “see” the mind of One God. This “All Seeing Eye” of God is coming to reside as the Living Presence in our re-wired brain. This imprint of a Geometric Tesseract is being referred to as the Cosmic Cube Matrix of God’s 144,000.The Cosmic Cube holds the schematic and blueprint to God’s Laws by building the architecture of the “City Four Square”. This represents the Four planes of matter in the Four quadrants of our Universe. This is also representing the four elemental bases of our raw material making up the planes of matter. (Air, Fire, Water, Earth) These four elementals make up the main chemical constituents of our DNA code and are being re-encrypted by the Aurora’s through the “Crystal River”. The City Four Square contains the blueprint of the Solar Christ identity of the 144,000 archetypes of the sons and daughters of God. This new life foundation (the new grid base matter of the 144,000) is necessary in order to focus the Divine Wholeness of God consciousness in the given dispensation of the Ascension. The City Four Square is where the Crystal River Flows and is represented as the “Golden City” archetype that returns God’s Laws back to this creation. Its projection is to be held as embodied by the divine messengers (with the seal of the lamb on their foreheads) of the Cosmic Cube 144 Matrix. The Blue Ray Families (See Code of the Blue Nile from March news – encoded with the 144,000 genetic imprint) are the first ones embodying this process on the Earth now. It is a part of the Christ Consciousness returning through the Oraphim Blue Ray and the Elohim Creator Gods to reinstall God’s “divine” plan in this density. I am aware the Guardians are suggesting we infuse ourselves with this image as a connection to see a “symbol architecture” of the divine plan of God, as projected through our 3rd eye. The Guardians mention that although Metatron’s cube appears as a similar geometric function, that this “Cosmic Cube 144” is not the same thing. They describe both ArchAngelic “Metatron” and “Thoth” as the appointed “Scribes of God’s Mind” (had held these geometries in the lower form worlds) that served its purpose in the dark eon that is now coming to an end. As we enter the Cosmic Christ Intelligence and create a direct relationship to God, no intermediary, including a “scribe” is needed.